This is a limited edition commemorative poster of Charles Boyer's artwork created for the 50th Anniversary of Snow White. 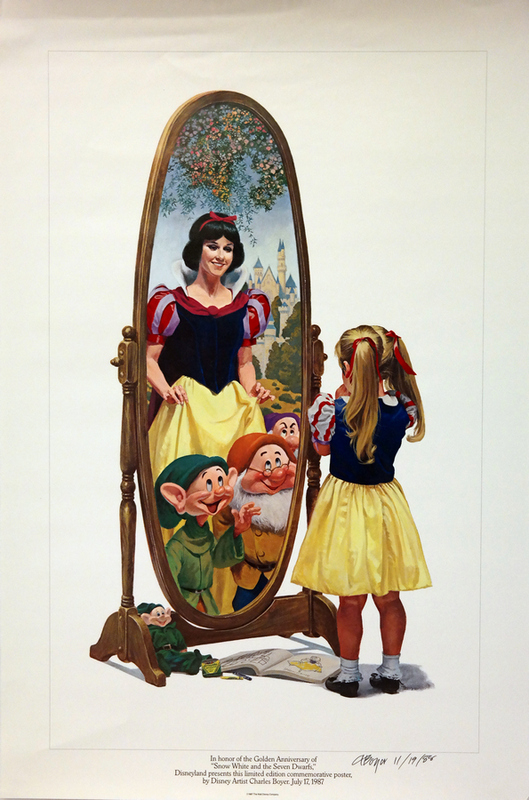 The image is titled "Fairest of Them All" and was created for Disneyland cast members in 1987. 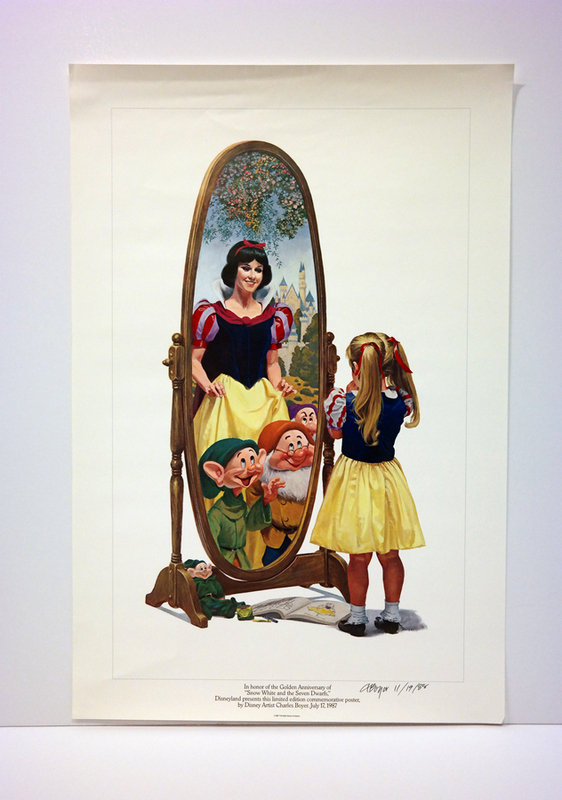 This charming print features a little girl dressed as Snow White looking in a mirror with Snow White Dopey, Happy, and Grumpy staring back at her from Disneyland. 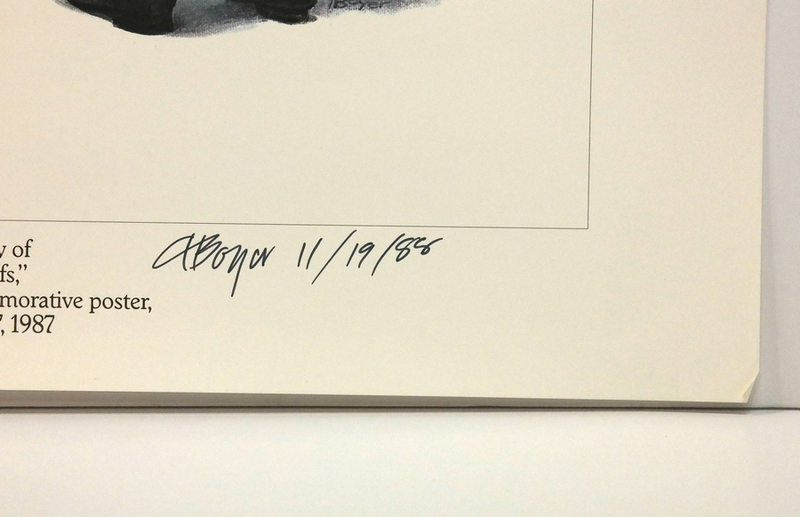 This print is hand-signed by Charles Boyer and is dated 11/19/88. The poster measures 30" x 20" overall with the image area measuring 26.25" x 16.25". The poster is in good condition overall with some creasing at top of poster from rolling. This poster will ship rolled. This particular piece is a lithographic print on a standard glossy poster paper that was not individually numbered.